I first met Emily from Syncsquirrel at a Wired Sussex networking event, and she talks about my incredible networking skills in her blogpost here. Desert Island Mix is ‘inspired’ by the classic Radio 4 programme Desert Island Discs (do you see what we did there?) 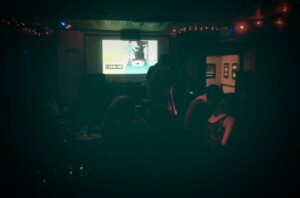 where guests play the eight records they would want with them if they were stranded on a desert island. We thought this would work well in a club environment, asking people to play their own choice of music to be stranded with – 6 music lovers marooned in a basement playing two short-ish sets over the course of a Friday evening. The result was a truly eclectic mix of great music; Wild Beasts, DJ Shadow, Erik B and Rakim, John Coltrane, Super Furry Animals and Serge Gainsbourg all putting in an appearance. Full track listings available on the Facebook page here. 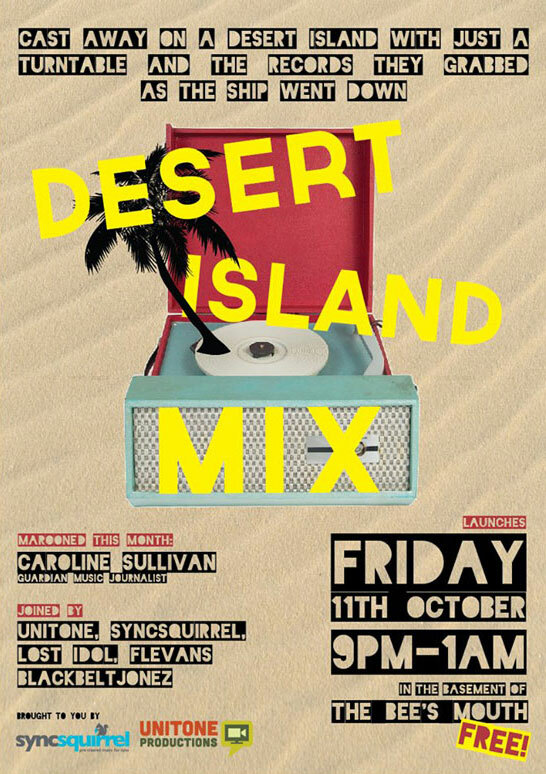 The next Desert Island Mix is on Friday 9th November from 9-1am, again in the basement of The Bee’s Mouth. Free entry to anyone dressed as Robinson Crusoe, and everyone else.